You have encountered a wild shubarugo! Made By---->>>MeI'll be gone for 4 weeks now so..Bye all!! Credits to Nacon for awesome banner. Credits to darkdragonghost for Origin Metagross. hi can u pls make a banner for me too??? and nice works...!! keep it up!! Can You Do this But Without Any Writing Please. 14:06	werewolf	DeoxysCreater searches for Deoxys. 14:06	werewolf	Murder attempt failed! 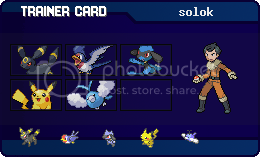 Hello,Since PBA is back and so is myself..I am restarting the Banner/sprite store..Doing recolours,scratch spriting (no fakemon only clothing) and banners..
You have encountered a wild Golduck! option:animated if u r able to do it else non animated is great.